For many people public speaking is about as pleasurable as root canal. You move to the podium, adjust the microphone, take a deep breath, look out on a sea of faces, and hope it won't be painful; that your inner muse guides you. What author can avoid public readings if he or she is intent on and serious about connecting with an audience? 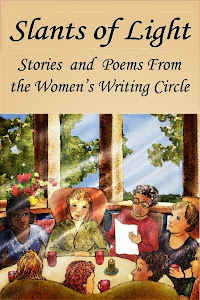 So it was that authors in our Women's Writing Circle overcame the jitters and presented a lively and varied tableau of stories and poems in front of a packed audience at one of our local independent bookstores last night. For some it was their first public reading. They had no idea what to expect. 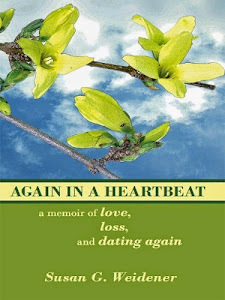 For others, who are published authors, it was yet another opportunity to connect and bring our stories "alive." No matter how experienced you are, it is a bit terrifying, but always gratifying and stimulating. Yet, what sustains, supports and empowers us is the camaraderie and magic of being in this together. We broke the silence, relaxed our perfectionist's muscles, stuffed the inner critic in a corner and read in the belief we had something of worth to share. Our readers' presentations ran the gamut: childhood recollections of a beloved grandparent; a woman's cry to be accepted and not labeled by her sexual orientation; the pathos of being forced by parents to attend charm school as a little girl; the craziness of Internet dating amid the longing for connection; being loved and loving a famous man; coming to terms and reviewing a life of friendships and missed opportunities but finding solace in the spirituality of something as simple as peeling potatoes under cool, running water. And, so, last night we concluded our first public reading of the Women's Writing Circle here in Chester County, Pennsylvania. For those in the audience, many of the stories were a preview of our upcoming anthology: Slants of Light: Stories and Poems From the Women's Writing Circle, which we are self-publishing and is due out this Spring. "The Circle," one woman wrote today, "ROCKS!" And, so it does . . .
What a great post, Susan! Thank you. Beautifully arranged and laid out. Fun to read. A great 'Amen' to the wonderful women readers who made the night a special event for all who attended. Thank you, Edda, for your faith and talent ... an inspiration to our Circle of writers. How wonderful! You guys do rock! I can imagine with support like this, nerves were not to big of an issue. I see your book on the sidebar Susan. I'll add it to my Goodreads queue. The Circle is amazing, Grace. 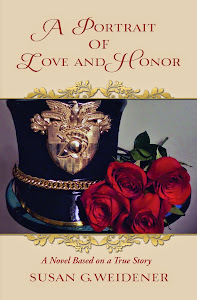 As one writer said, while both my books feature flowers on the cover, the "flower" I have cultivated from seed and that has blossomed is the Circle. It is also the "flower" I am most proud of. I hope you enjoy my memoirs. 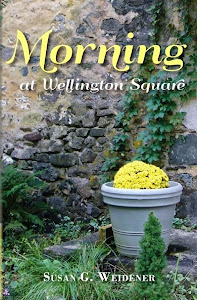 Much of Morning at Wellington Square is the journey that led me to the Writing Circle. What a fabulous evening. I for one had the jitters, but thanks to all of my fellow writers I found the courage to read my story. I felt honored to be reading along side such a talented group of women. Thank you for booking the event Susan. It was a special night. Candice, Thank you for having the courage to read your story and making our first public reading of the Women's Writing Circle such a success! Thanks, Sharla. We do have a wonderful group here. So if you are ever in the beautiful Brandywine Valley (home to Chester County, PA and the Women's Writing Circle), please stop by and join us for a read-around. The camaraderie and support is amazing. This was our first public reading, but not our last!